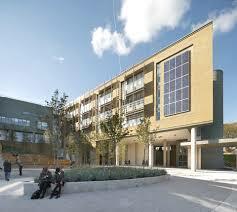 Heartlands High School in Wood Green is a multi tiered building catering for year 7 upwards. We have installed a network of 4 x 4 loop Advanced fire panels with Apollo devices. The system is used to sound class change with a different tone to the fire sound. A Baldwin Boxall combined refuge alarm and toilet alarm system has been installed with control panels in the main reception and the secondary reception. A Honeywell Galaxy Dimension security system has been installed with Pyronix Dual Tech detectors and surface mounted door contacts. Video Entry is installed with additional doors having Paxton access control equipment. The CCTV system comprises of 68 cameras throughout the building which can be viewed on the 3 monitors provided or on any PC with approval. Both Fire & Intruder have been connected to an off-site monitoring station for quick response.